Joe Silva started his Masters with Dr. Stan Boutin in Fall 2018. 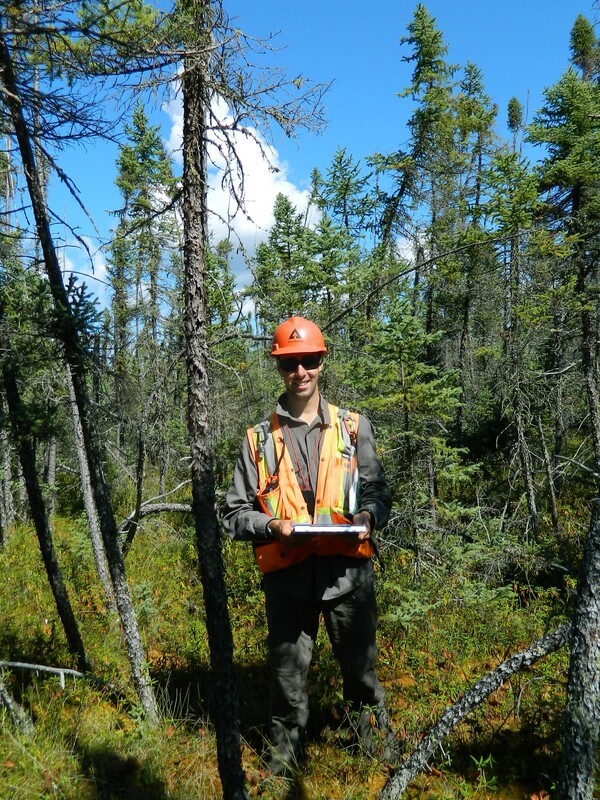 He is investigating lichen regeneration in recently burned forests of northwestern Ontario. Here he stands in a black spruce bog, after collecting samples all day. Sometimes research is needed in such remote areas that we have to fly by helicopter to get there! This is a great way to explore the world from above. The summer field season brings warm weather but it also means you have to watch out for animals, like this female black bear! Our graduate students and technicians have special training and gear to deal with situations like this. Get ready for bear season!! Aerial view of the Kluane Red Squirrel Project’s remote field camp in southwestern Yukon, Canada. Being a wildlife biologist can take you to a lot of quaint camps like this.